We supply equipment and components that light the way for engineers and site-workers, to help keep jobs on schedule and employees safe. This means that essential work can continue, even in the most challenging of conditions. Our product range includes mobile rigs and equipment for temporary or emergency works, along with specialist fixed lighting solutions for longer-term projects. CEAG provides lighting for construction and civil engineering sites that includes internal and external solutions, along with our specialist explosion-proof lights, LED flood lamps and incandescent lamps for heavy-duty use. 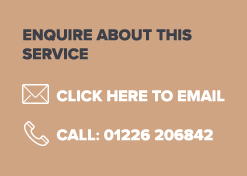 So, whether you are looking to light an internal decorating or maintenance job, or a large, external site, we can supply the right equipment to meet your needs. We can also supply replacement bulbs and components for your existing equipment. Our lighting experts offer the highest quality service and will work with you, providing guidance and advice where necessary. You can also be assured that all CEAG products are rigorously tested to meet industry standards and our construction products are designed with site safety in mind. If you would like to find out more about lighting solutions for construction and civil engineering, or to speak with one of our expert advisors, please contact us by email on construction@ceag.co.uk, or via the contact form button below. As a trusted supplier of architectural lighting solutions to the construction and civil engineering sectors, CEAG has built a global client list that includes market leaders such as BOC, African Oxygen, Craig International and J & R Gases.